Brendan Carpenter is Co-founder of Ironbark Asset Management. Brendan has more than 19 years’ experience in the Financial Services industry. Brendan has both Australian and international experiences having worked for Deutsche Bank’s Asset management division in London and New York. Brendan has held a variety of positions within Asset Management with roles including: Client Service manager; Investment Analyst within the Asset Allocation team and Business Manager (Europe and Asia Pacific). Brendan was also member of Deutsche Asset Management’s European Investment Committee between 2002 – 2004 before relocating to Australia in 2005. Brendan was the Chief Operating Officer of Deutsche Asset Management, Australia from 2005 -07 and Chief Operating Officer and Deputy CEO at Aberdeen Asset Management prior to co-founding Ironbark Asset Management. 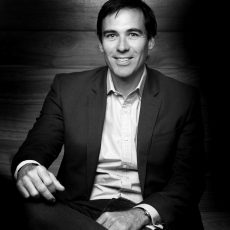 Brendan is currently the COO and Deputy CEO as well as Co-founder of Ironbark Asset Management. In his role Brendan is responsible for the day-to-day management of the Ironbark licence, operations, investment and business support functions. In addition, Brendan is a member of the various Ironbark Boards, Chair of the Ironbark Investment committee, a member of the Ironbark trustee compliance committee and sits on the various external Investment Committees.